Coventry Pressure Clean are here to help make your building or property exterior look as good as new. 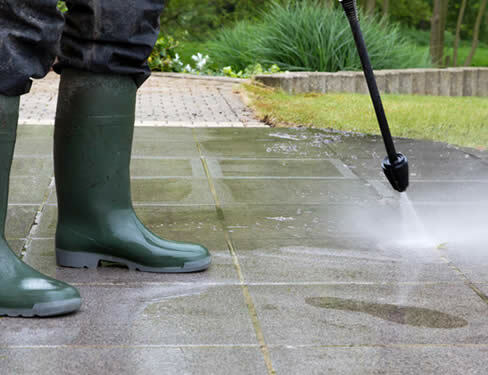 Our Commercial & Industrial pressure washing service Coventry has become very popular throughout Coventry, Leamington Spa, Warwick, Stratford Upon Avon, Nuneaton, Bedworth, Hinckley, Rugby, Solihull and Birmingham. Through the many years of experience & knowledge we have gained, this has helped us greatly with providing outstanding results for our ever expanding list of satisfied customers. With our very affordable rates & fantastic quality service, this is helping us to go from strength to strength. Coventry Pressure Clean can provide a variety of services to all our commercial & industrial customers such as: Block Paving Cleaning Coventry, Car Park Cleaning Coventry, Playground Cleaning / Sterilising Coventry, Demolition and New Build Cleaning Coventry, Graffiti Cleaning Coventry, Gutter Cleaning Coventry, Full Exterior Cleaning Coventry, Paint Removal Coventry, Smoking Shelters / Area Cleaning Coventry, Bin Storage Area Cleaning Coventry, Chewing Gum Removal Coventry. Our team specialise in monoblock / block paving cleaning across Coventry Warwickshire and surrounding areas for businesses for many years, making it look as clean as the day it was first laid. Firstly we clean the edges with a high pressure lance and any large areas of moss are removed then we use our industrial rotary cleaners which not only minimise mess but eliminate streaks being left . Next step is going over any areas which may need further stain removal once everything is like new we clean down all surrounding areas ensuring it is left as we found it . We also offer a resanding service to help keep your block paving solid. This stabilises all blocks and slows down weed growth leaving your block paving looking new again. Our car park cleaning service Coventry has several different cleaning options including: complete floor cleaning, waste water removal when required, oil stain and graffiti removal or our all in deep clean option which will totally transform the look of your car park or forecourt pillars, posts, walls and ceilings. We also offer Forecourt cleaning service in Coventry & Warwickshire which has a huge impact on your customers first impression of your business . We can remove oil stains, moss, algae and any other unsightly staining from block paving, Tarmac, concrete/cement, paving slabs & natural stone. Our play ground cleaning Coventry service can be so important as unfortunately playgrounds are usually subject to vandalism such as graffiti but also pets, wildlife and the occasional passer by using it as a toilet not nice but true. We can provide peace of mind for parents when visiting local play areas with our eco friendly cleaning systems we not only clean but also sterilise the area making it safe to play again. Demolition can be costly and a messy business usually with very tight time-scales and usually with at least one resident or business owner waiting to complain about the mess left behind after. Our demolition cleaning service Coventry can make it look like you were never there from paths to roads to dust control during demolition we can cater for all your cleaning needs. New built homes are soon to be someone's life investment. When work on site has completed there is a huge amount mess to be cleaned before the property is ready to be handed over to your clients. We clean every inch of the exterior from brick work to mortar stained paths or driveways efflorescence is the white staining left on brick work this is something that should be removed as soon as possible or it may become a permanent stain. We also clean patio areas and conservatories or any other area with mess caused from the site construction. Businesses in Coventry, Warwickshire and surrounding areas have seen a huge problem with graffiti over the last few years which are unsightly, often rude & offensive and generally looks a mess. Our graffiti removal service Coventry offers customers 24 hour response service as we understand the impact graffiti can have on businesses. All products used are environmentally friendly we can clean small areas or entire buildings using our industrial hot water / steam cleaning systems we can remove all traces of graffiti from your premises giving your company the look it deserves. We have public liability insurance and carry out risk assessments with all graffiti removal project as health and safety is priority at all times. As most commercial units are not owned by a business gutter cleaning is usually left to late but there are many advantages of cleaning them now like preventing leaks in to your premises ruining electrical components leaving unsightly water stains ,risking damaging stock ,overflowing gutters will soak your customers as they enter your premises also if you as a business are responsible for maintaining premises our gutter cleaning service is much cheaper than replacing gutters when it's to late. Our team of experts will first use our curved hook pole system to remove any large debris such as sticks then a industrial triple motor gutter vac with its 40ft reach is used to remove all the sludge and gunk once this has been completed our telescopic low pressure gutter washer is used to rinse remaining grime away .all down pipes will be disconnected at bottom before work commences to save future drain problems occurring . Over time all buildings will get a build up dirt and grime. With our full exterior building cleaning service Coventry we can rejuvenate the look of all types of buildings including shops, industrial units and signs using our state of the art industrial hot water cleaning systems and our 7 metre telescopic lances along with our extensive knowledge and years of experience we can complete all manner of cleaning tasks that you might have thought weren't possible. Some exterior surfaces we clean include steel cladding, upvc cladding, brick and natural stone. As we all know over time paint weathers & fades and begins to flake off leaving an unsightly mess. Paint removal is essential when preparing to re paint an area. Our high powered hot water cleaning system makes light work in removing flaking paint or stripping surface back to its original state saving hours of labour intensive stripping by hand all businesses need a fresh coat every now and again. With our years of experience we can remove the most stubborn paint. Surfaces we remove paint from include steel, wood, slabs, brick, plastic/upvc. All businesses now have designated smoking areas this is of coarse for several reasons such as law, health and safety, but also to give there staff and visitors who smoke a place to do so. As you can imagine these areas can become rather unpleasant for the people using them as smoke smells linger, floors become stained and non smoking visitors who may have to pass a smoking area. Our smoking shelter / area cleaning service Coventry will freshen things up all stained paving slabs cleaned shelter inside and out cleaned then all we finish things off with a eco friendly lemon or orange zest fragrance spray. Many industries rely on having designated areas to store bins especially when food waste is involved. As time goes by these areas due to spills or pests will become unsanitary and the smell will become very pungent during the summer months. We understand you don't want visitors smelling bins as they approach your business. We offer offer a bin storage area deep cleaning service Coventry which is carried out using our industrial hot water cleaning systems removing grease grime and food debris. We then freshen things up with either lemon or orange zest fragrance spray which is eco friendly. When a customer approaches the entrance to your business the last thing you want them to see is chewing gum all over the path this looks unsightly and may put a potential customer off we understand you want your business to look its best. Our chewing gum removal service Coventry involves either using our top of the line steam cleaning wand or dry chemical clean depending on surface substrate. This can be done outside of opening hours to prevent disrupting trade if needed. Imagine a gum free entrance.